A symbol of grace and beauty, our very stately eagle is well-suited for high flying achievers. 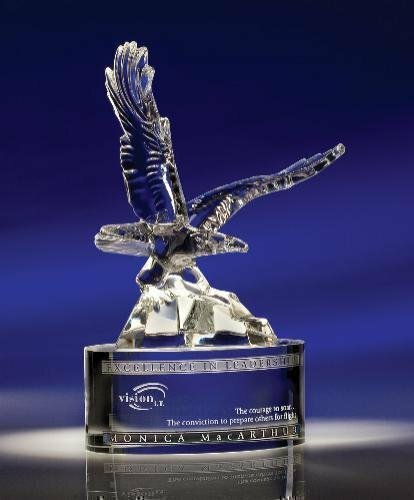 Perched upon its optic crystal base, this full-lead eagle makes an impressive statement. California residents please see Proposition 65 in our general information.